The ADA is a significant federal civil rights law, designed to prevent discrimination against individuals with disabilities in many situations. 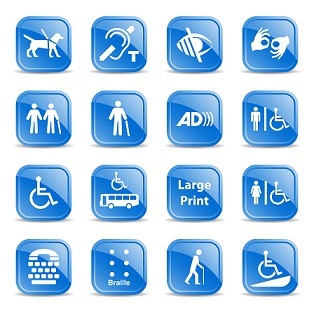 The ADA covers certain employment situations, all programs and services of state and local governments, many private businesses, and certain telecommunication services. For documents and resources related to employment, check out the "Job Seekers and Employees with Disabilities" section below. Also, visit the ADA National Network’s “People with Disabilities” pages to find out more about the ADA, and don’t forget to check out our "Publications" page to find ADA documents and our "Resources" page to find links to information on a variety of disability-related topics. The ADA covers private employers with 15 or more employees, as well as state and local government employers no matter how many workers they employ. Covered employers may not discriminate against qualified workers with disabilities, and must provide “reasonable accommodations” when necessary to ensure equal employment opportunities for individuals with disabilities. Read The ADA: Your Employment Rights as an Individual with a Disability to find out more. Below are additional publications and resources for job seekers with disabilities, as well as for workers with disabilities who are already on the job. There are other federal civil rights laws which address disability discrimination in other situations, such as housing, air travel, and federal programs and services. There are also laws which provide for certain benefits for people with disabilities, such as supplemental income or special education services for children. These laws are often very different from the ADA, with their own purposes, definitions, and requirements. You can find out more about other federal laws, programs, and resources through the federal government’s disability information portal at Disability.gov.